I’ve been hired to cook vegetarian lunches and dinners for a family summer camp for a week. It has been difficult to find good ways to add enough protein to the meals. 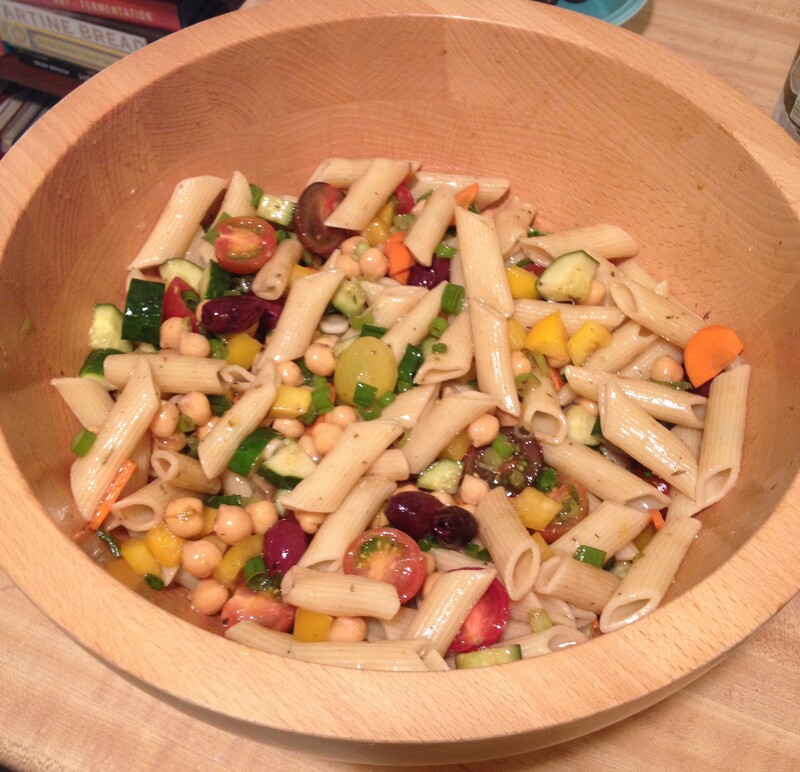 I had the idea of adding chickpeas to cold pasta salad, so I tried it today and it was very good. This salad can be made gluten free if you use gluten free pasta instead of wheat pasta. Cook the pasta according to package directions. Drain and rinse to cool. Meanwhile, prep the vegetables. 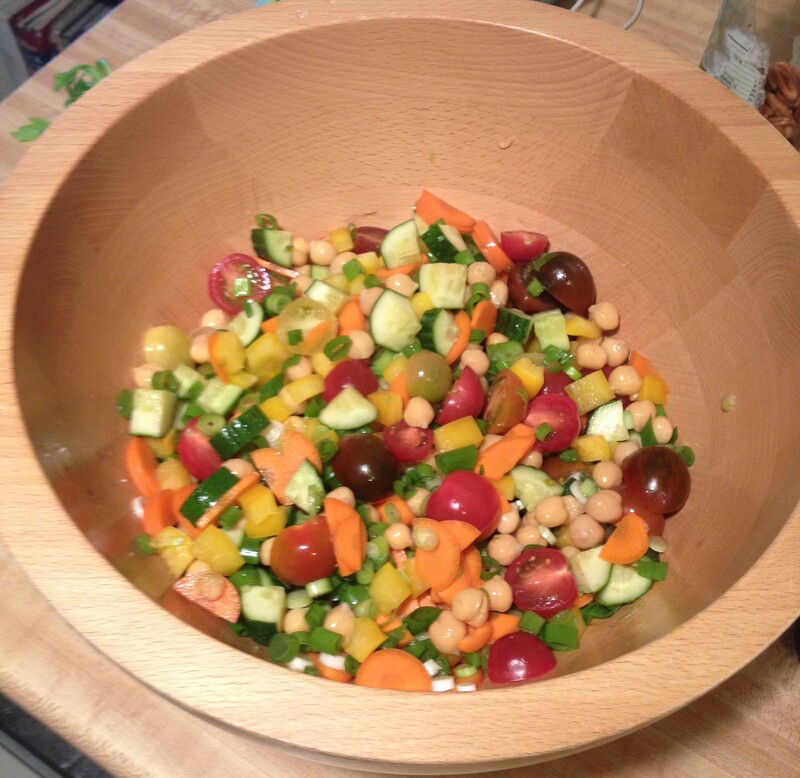 Combine the chickpeas, cherry tomatoes, carrots, cucumbers, bell peppers, scallions and olives in a large serving bowl. Next, make the dressing. Mix the balsamic vinegar, pepper, salt and Italian seasoning in a jar. Add the olive oil and shake well to combine. 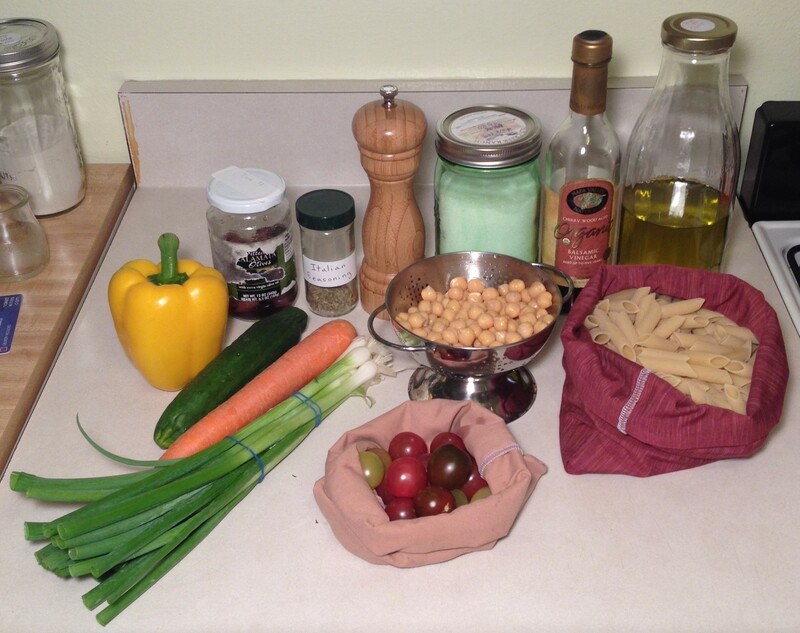 Add the cooked and cooled pasta to the vegetables and toss to combine. Add the dressing (add less if you want, and save the extra dressing for green salads) and toss again. Serve. Cherry Tomatoes – Surprisingly, I found these sold loose in a bin instead of in plastic clamshells. Pepper – I refill the lovely pepper mill in the photo (a gift my mom received) with bulk peppercorns. 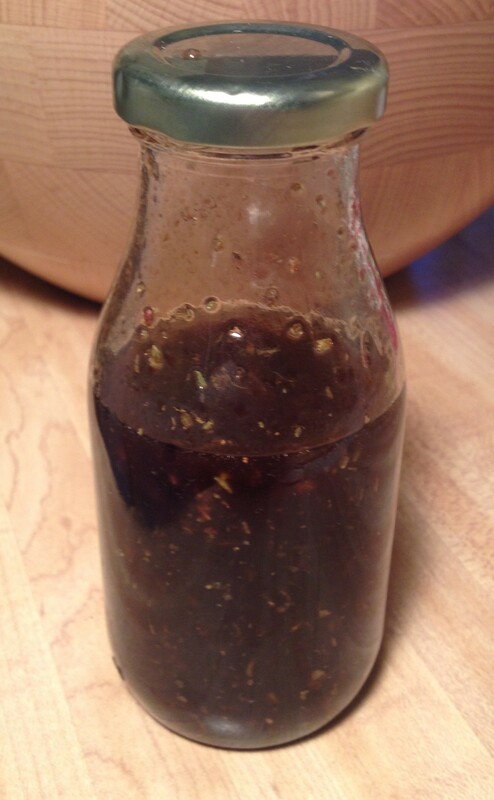 Balsamic vinegar – This came in a glass bottle with a plastic seal, unless this is an old bottle that my mom refilled at the bulk store. Not sure about that one. Love it! Great taste, will recommend you! Keep going’.